Found one file extension association related to Backup Mill and 1 file format developed specifically for use with Backup Mill. Backup Mill is designed to backup your files and folders as fast as possible with minimal effort and interruption on your part. It makes secure (AES-256 encrypted) backups of your personal data: documents, projects, articles, game saves, program configuration files, and private data. It can store backups on HDD, flash devices, remote FTP servers, or network computers. You can even point to multiple storage locations. 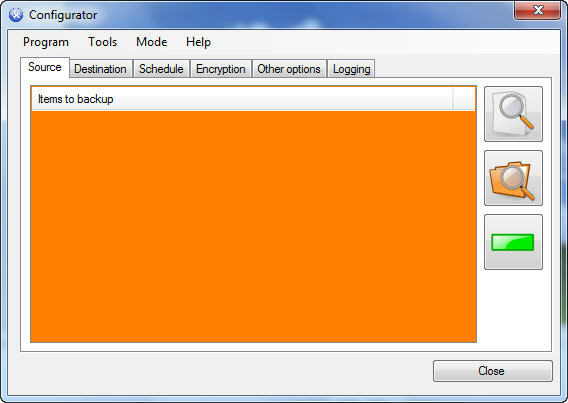 Vista Backup Mill is designed to save you time configuring and administrating it. If you need more information please contact the developers of Backup Mill (BackupMill.com), or check out their product website.